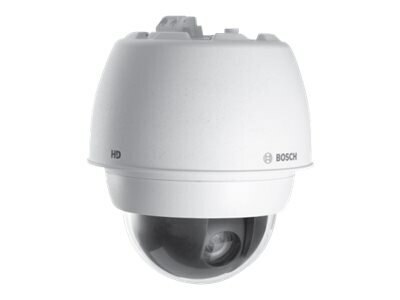 The AUTODOME IP dynamic 7000 HD is an easy to install, high-speed PTZ dome camera, in a field-proven indoor/outdoor pendant housing or indoor in-ceiling housing, that delivers unmatched picture quality and network performance day and night with superb high definition video and powerful optical zoom. The camera provides complete network-based control of all dome functionality including pan/tilt/zoom operation, presets, tours and alarms as well as web based configuration of all dome settings. It also provides direct network video streaming using H.264 compression/bandwidth throttling to efficiently manage bandwidth and storage requirements while delivering outstanding image quality.